Mars and the far side of the Moon are on the itinerary for China’s National Space Administration (CNSA), according to a new white paper released this week. The document, from the State Council Information Office, recaps the country’s space-faring achievements over the past five years, and outlines its goals for the next five. The CNSA’s Chang’e series of lunar probes feature prominently in the paper. Named after the Chinese goddess of the Moon, Chang’e-2 took some time out of studying the Moon to perform the closest asteroid flyby to date, buzzing the near-Earth asteroid Toutatis at an incredible distance of just 3.2 km (2 mi) in 2012. It was followed by Chang’e-3, which landed on the lunar surface in 2013 and deployed a rover called the Jade Rabbit. Closer to home, the country sent two manned spacecraft into orbit: Shenzhou-9 in June 2012, and Shenzhou-10 one year later. The two craft docked with Tiangong-1, China’s first prototype space station, which was launched in late 2011. Since it’s currently on a decaying orbit and expected to fall to Earth sometime in 2017, its replacement, Tiangong-2, was launched in September this year. Looking forward, the Chang’e program will continue with Chang’e-5, due to launch before the end of next year. This probe will be tasked with performing a soft landing on the Moon, scooping up some samples and bringing them back to Earth. Wondering who ate Chang’e-4? Due to delays from its originally scheduled 2015 launch, the fourth probe is now set to take off after the fifth. If all goes to plan, Chang’e-4 will launch in 2018 and make humanity’s first soft landing on the far side of the Moon, where it will study the topography and geology of the lunar surface in an effort to better understand how the Moon formed and changed over time. 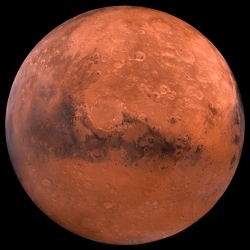 Probably the most ambitious part of China’s five-year plan is its Mars mission, which the CNSA hopes to launch by 2020. The probe, which we got a peek at back in August, will study the Martian air and soil, as well as hunting down any signs of water and ice. With Curiosity’s successor and the ExoMars mission also due to land that year, the Red Planet will be quite the tourist hotspot. Other goals outlined in the paper include conducting scientific experiments in space, helping to monitor near-Earth objects, and setting up satellites for observing Earth and providing communication and navigation services.